Charles R. (Chuck) Wolfe, M.R.P., J.D. provides a unique perspective about cities as a London-based urbanist writer, photographer, land use consultant and attorney. He is currently a Visiting Scholar at KTH University (Royal Institute of Technology) in Stockholm, and a long-time Affiliate Associate Professor in the College of Built Environments at the University of Washington, where he teaches land-use law at the graduate level. He is also Founder and Principal Advisor at the Seeing Better Cities Group. Chuck has contributed on urban development topics to several publications, including Planetizen, CityLab/The Atlantic Cities, The Atlantic, Governing, CityMetric, The Huffington Post, Grist, seattlepi.com, and Crosscut.com. He blogs at myurbanist.com. Chuck also speaks regularly worldwide, including recent and pending engagements in Sweden, Australia, Scotland, and Portugal. 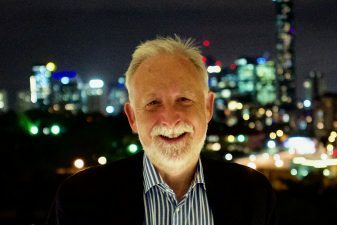 He is a Fulbright Specialist through 2020, which included implementing urban diary principles from his books and practice in Cairns and Townsville, Australia during Summer, 2018. Before Seeing the Better City, his first book, Urbanism Without Effort, is now available as a revised paperback from Island Press.